While traveling in a foreign land, relying on the local public transport systems is usually the easiest and cheapest way to get around. 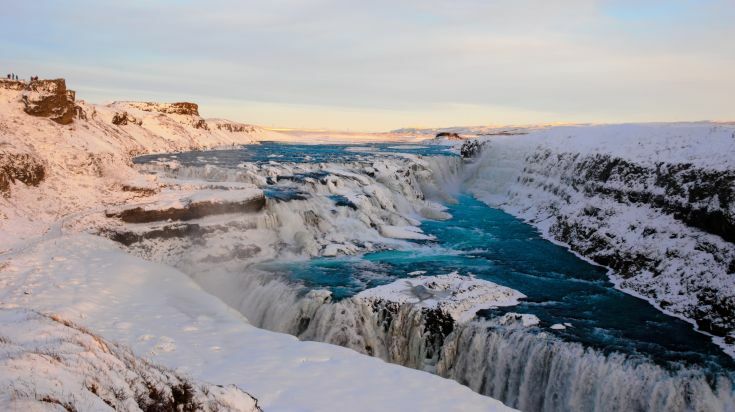 While it’s true that Iceland does have a public transport system called Strætó, it won’t get you much further than Reykjavik and the Golden Circle in a reliable fashion. 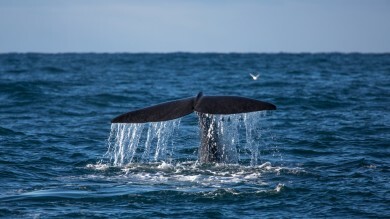 Therefore, most visitors opt for car hire in Iceland instead. Renting a car in Iceland will give you the freedom you need to explore all that Iceland has to offer at your own pace. 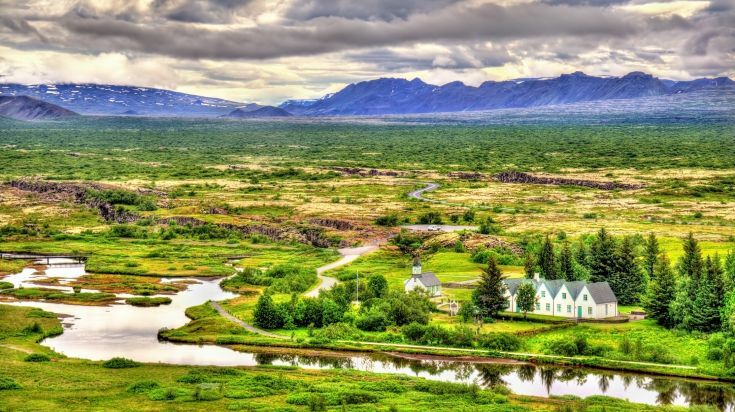 You could even travel the entire 1,332 km of the Route 1 ring road, the major artery of Iceland that connects most of the inhabited parts of the island. 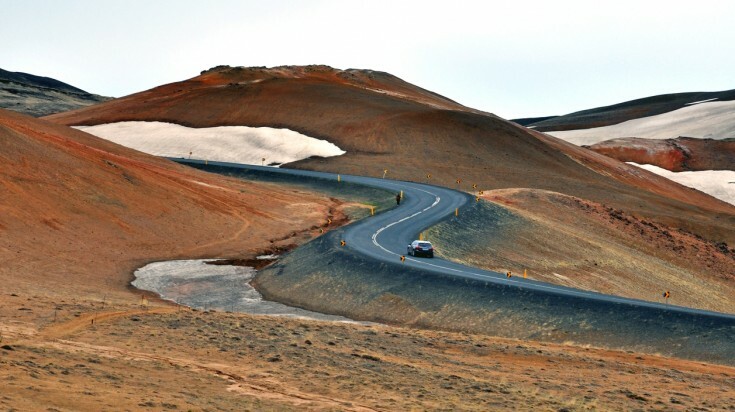 The twists and turns of Icelandic roads can often drive people mad, literally! But having the time to sightsee from the comfort of your own car is one of the best ways to take in the awe-inspiring Icelandic scenery. However, before you set out on your adventure, it’s important to know what to expect when it comes to driving in Iceland. 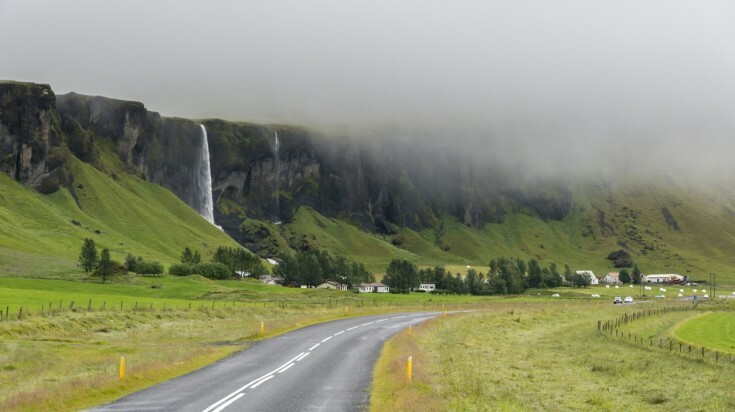 No matter how many years you’ve had your driving licence, driving in Iceland will probably be a whole new experience. The ring road is accessible by all cars, though some places are very remote and it’s uncommon to see any other travellers. Many must-see spots are located deep within the Icelandic countryside and gravel roads are still a common occurrence. Please note that off-road driving in Iceland is strictly prohibited and can be punished with very high fines. The conditions of driving largely depend on the season. Summer months (June - August) is the most favourable time of year for nervous drivers. With more daylight hours and no ice on the roads, a road trip in Iceland is a great way to enjoy the lush landscape. It’s also important to note that many gravel roads to certain areas, such as the highlands, are only open during the summer months. Winter in Iceland will have unpredictable weather and can make roads treacherous. It’s best to have some experience driving in unfavourable conditions before heading out. This can add a lot of time to journeys and sometimes stopping is necessary. Always check the weather forecast before you head out in winter, and be sure to have adequate clothing and supplies just in case. 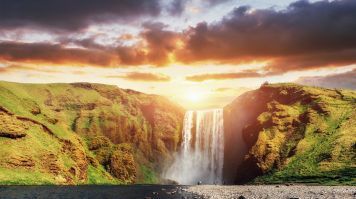 Weather in Iceland can be unpredictable, please read our guide on the best time to visit Iceland if you are planning your next trip to Iceland. The type of car you will need in Iceland depends largely on your itinerary. With improved roads, many tourist attractions are now accessible by a regular car. However, for travelling into the highlands for example, a 4x4 is essential. Now you know what you’re getting in for, you need to know how car hire in Iceland works! You need to be over 20 years of age (the minimum for renting a car in Iceland). A driver’s license in English (or translated) that has been held for a minimum of one year. The driving license of the intended driver will be asked for upon receipt of the vehicle. Insurance is obviously a necessary addition for Iceland car hire. Collision damage waiver (CDW) is generally included, though extra insurance is also available. Gravel protection is highly recommended and it is important to know that damage to a car incurred by driving on off road is not included by the insurance. 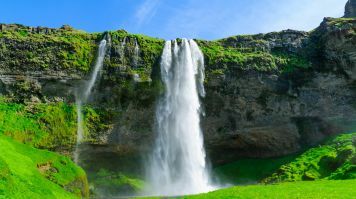 Renting a car in Iceland can take you to some of the iconic places in Iceland such as the Thingvellir National Park, Gullfoss, Skogafoss and Seljalandsfoss waterfalls at a leisurely pace. We know it can be hard to find a trustworthy rental company in a new country. So here are five popular car rental services available in Iceland. One of Iceland’s most established tourism websites also offers an Iceland car rental service. The site is very customer friendly, making reservations is easy and secure. They also offer a variety of cars including cheap cars, 4X4s, luxury vehicles and campers. They’re known for their excellent customer service and transparency. If you are interested in renting camper vans in Iceland then look no further! Happy Campers is the original camper van rental in Iceland as they were the first company of its kind to open in 2009. They offer economical and easy-to-drive mini campers that makes traveling around Iceland simple, easy, and fun. By combining transportation and lodging, renting a camper van can even save you a considerable amount of time and money. Cars Iceland come recommended for their great prices and thorough service. They have recently added a number of new vehicles to their fleet. They also include Collision Damage Waiver, Super Collision Damage Waiver, Gravel Protection and Theft Protection insurance in the price. Go Car Rental is a local Icelandic car rental company who are known for their stellar customer service. They offer premium vehicles at competitive rates and also have a free shuttle service in the Reykjavik area from your hotel to their office. If you don't have time to visit their office, you can also have the car delivered at Keflavik international airport and drop it off there at the end of your tour. Reykjavik Cars, also known as Blue Car Rental, is a popular company due to its great customer service and flexibility. Book a car and only pay a 15% deposit, which is fully refundable up to 15 days before the beginning of the rental period. 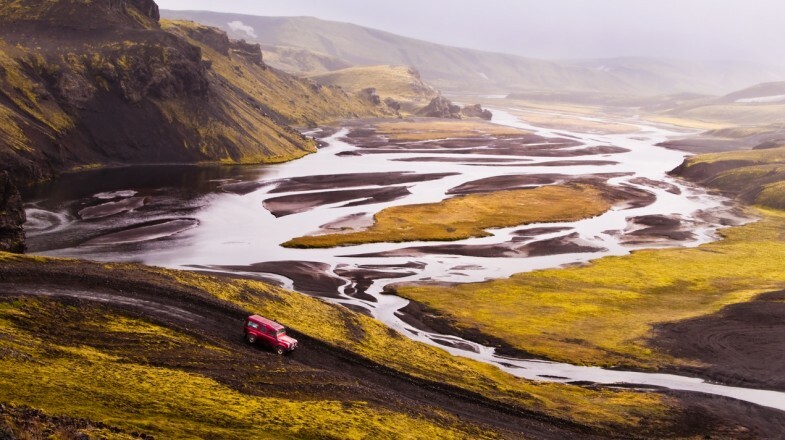 For those wanting to hit the open road without the restriction of booked accommodation, their sister company Campervan Iceland is a great choice. They offer a variety of campervans and motorhomes at competitive prices. If renting a car with a credit card poses a problem for you, Reykjavik Rent a Car may be a good option. They are a small, family run rental company that offers used cars in good condition. Their prices are very affordable and the family approach makes for some great customer service. As with renting a car anywhere, it’s important to be thorough in your checks before you accept your vehicle. Always opt for adequate insurance and, as previously mentioned, be careful on Icelandic roads. As long as you’re prepared, there’s nothing more thrilling than traversing the wild Icelandic landscape at a leisurely pace. We work with some of the best tour operators in Iceland, check out more cool tours in Iceland to compare prices and itineraries. Planning a trip to Iceland but not sure what to do? We got you covered with a great list of things to do in Iceland. 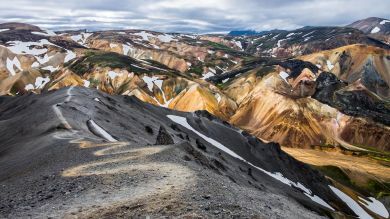 If you have an adventours spirit then check out the top 5 best treks and hikes as well as the 10 best day hikes in Iceland.